Journalist and copywriter Kate White wanted a professional site that would convey her company’s USP clearly. Both Kate and her husband Ian, also her business partner, have been working in national journalism for years, and they bring those unique skills to their clients’ projects. The site needed to give their audience a clear understanding of what they offer, both through the design and their content. Kate also wanted to use fonts and images that would put people in mind of old-school journalism. 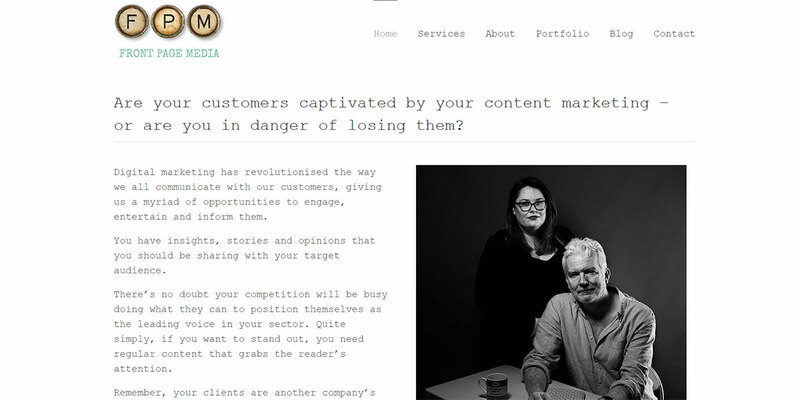 The result is an authoritative, stylish site that gives Kate and Ian a place to send potential customers to discover more.